In this article we will be looking back on our top selling discs from the first quarter of 2016 (January-March). 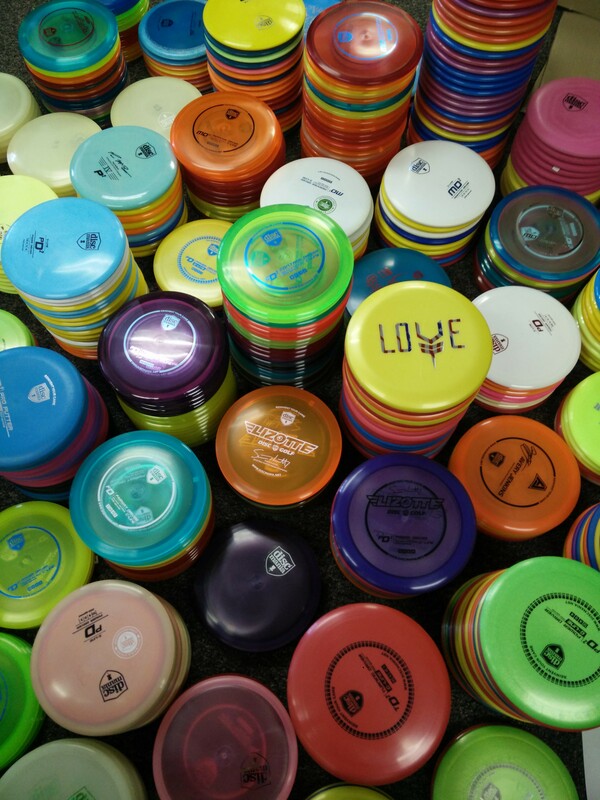 This first quarter is what I like to call the season “disc golf fever.” Disc golfers are anxious to get out and play, so to compensate, they stock up on their favorite discs in anticipation for the warm weather and new season to start. For the most part, we find many familiar names in the top charts, but there are a few surprises in each category, including a new overall number 2! The biggest surprise we found as we ran the numbers was the Innova TeeBird coming in as the second most sold disc of the last three months. Last Quarter it was number 5 overall. This jump may have been caused in part by the new Avery Jenkins stamps on the star plastic TeeBirds. 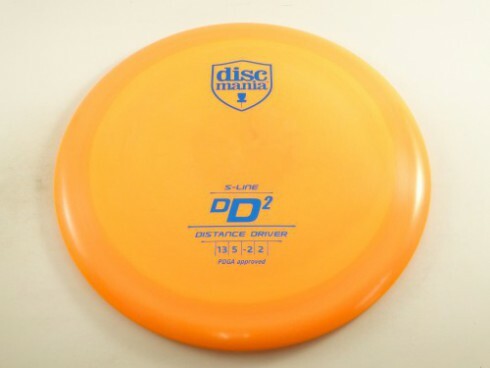 The former number 2 (the Discraft Buzzz) also shocked us by falling five slots down to number 7. 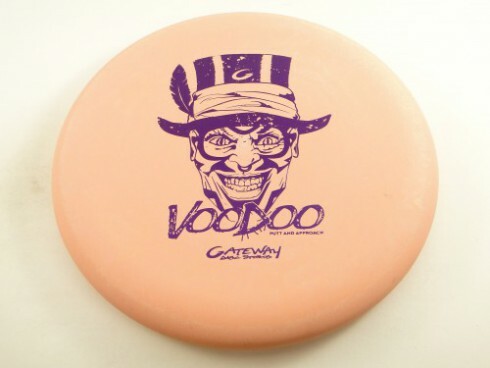 New releases always cause some shake up near the top of these lists, but the Innova Colossus and the Legacy Outlaw really shined by jumping all the way into numbers 4 and 5 respectively. Only time will tell if these discs will be able to maintain such high sales numbers. Just like the last quarter of 2015, Innova dominated the Distance Driver category by claiming 8 of the top 10 spots. 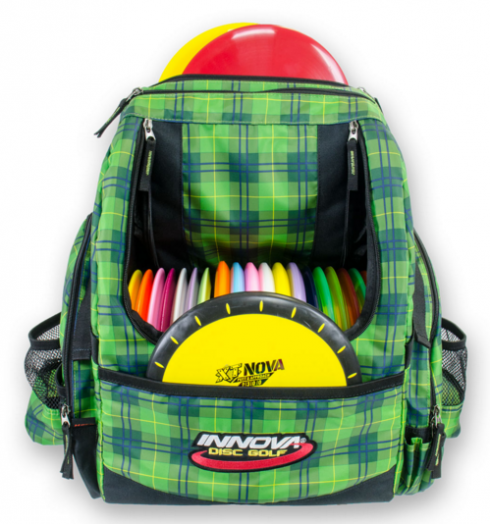 There was a lot of hype around the release of Innova’s first 14 speed driver, the Colossus, and it will be interesting to see if it will maintain high numbers in the upcoming months. The first run Pinnacle Outlaws or “Pinlaws” can be thanked for the Outlaw taking the number 3 slot. 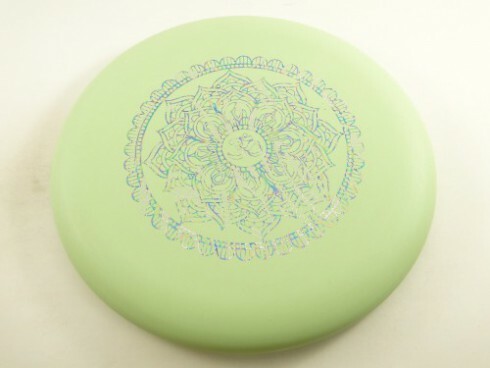 The second run Pinlaws released today, so we may see the Outlaw near the top next quarter as well. The Control Driver top 10 saw some movement as well with two new discs making it into the charts, the Axiom Crave and the Discmania FD Jackal. 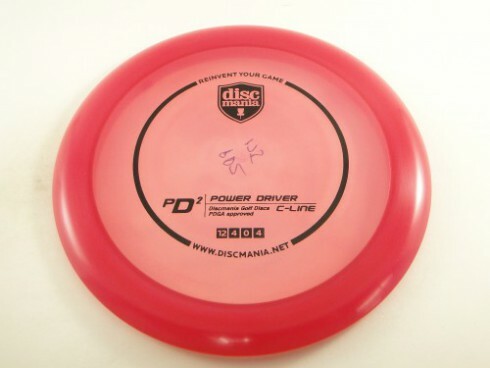 The Crave had a popular release in new Plasma plastic help it break the top 10, and the FD isn’t a stranger to the top 10 as it was featured two quarters ago. Last quarter the Leopard3 held the number 2 slot after its release, and we were very curious to see how it would fare in the following months. 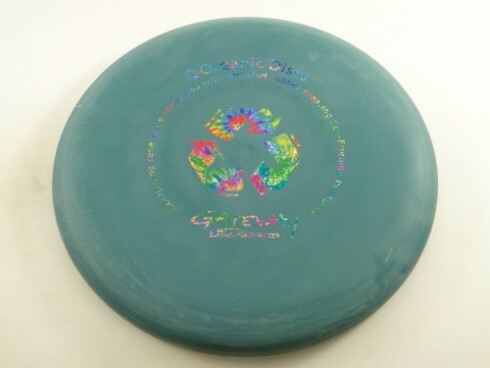 It dropped, but I’m sure nobody at Innova can complain about a number 8 for the Leopard3. The Discraft Buzzz may have dropped in the overall charts, but it maintained its dominance of the Midrange category. 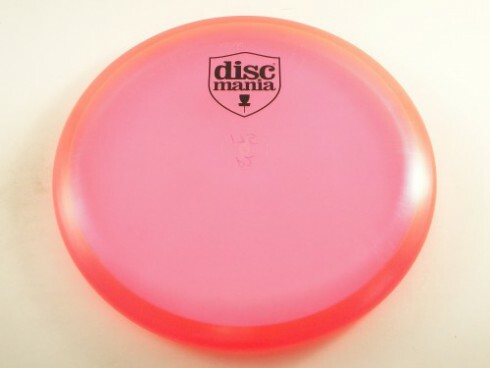 The top 3 discs stayed the same, but a brand new disc jumped the charts to the number 4 spot–the Latitude 64 Compass. Again, is the hype of a new release to blame? Or will the Compass prove to be a popular midrange as time goes on? 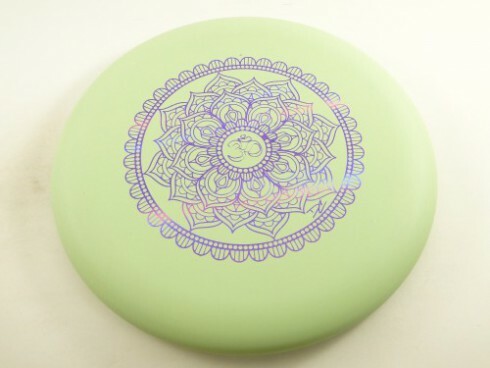 One thing’s for sure–a name like Ricky Wysocki on every stamp can’t hurt! 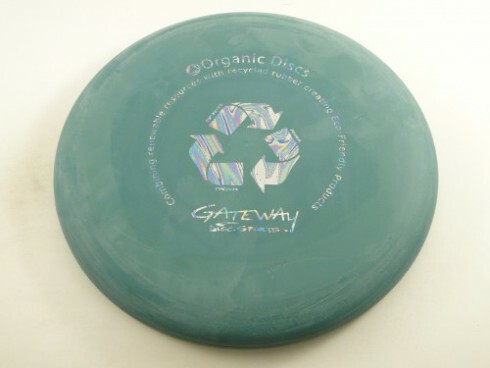 Last Quarter the Dynamic Discs Judge took the top spot from the Gateway Wizard for the first time, and it held its ground. The top 3 here also stayed the same, but the Dynamic Discs Warden jumped from 7 to 4 this Quarter. Also there was a big mix up at the bottom half of the chart with the bottom four discs all not featured in last Quarter’s top 10. This is also the most diverse category in terms of brands, with 9 different manufacturers represented. So there they are! The top discs of 2016 Q1. Any surprises you see here that we didn’t comment on? What really stands out to you? Are there any discs you were expecting to find but didn’t? Feel free to comment with your thoughts! 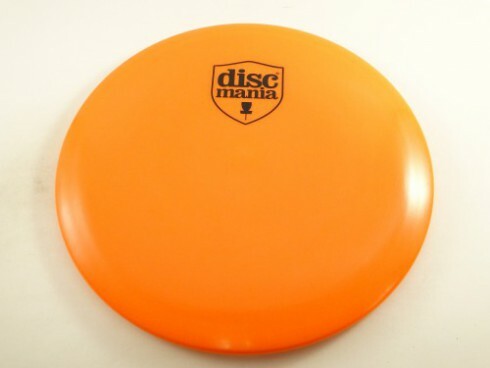 Last week, we announced on Facebook that our disc of the week was the very popular Discmania FD. 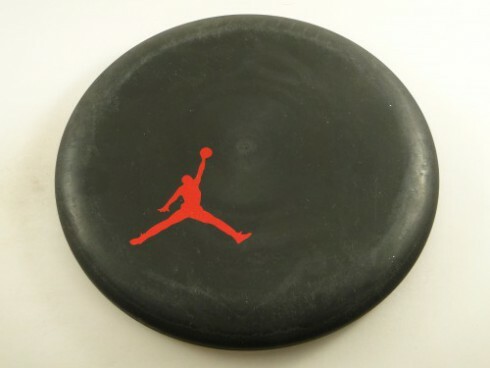 As part of our giveaway, we asked our Facebook family to tell us their favorite Discmania molds. 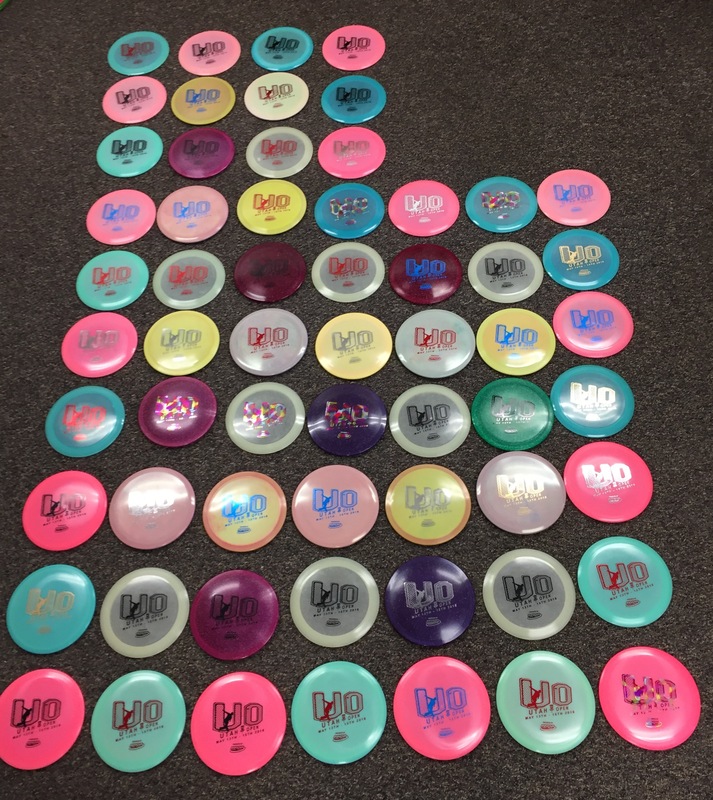 As the responses came in, we were surprised by how many people said that they haven’t thrown any Discmania yet. 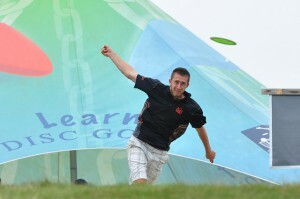 Discmania is the primary sponsor of the Disc Golf World Tour that kicked off last weekend in La Mirada, California, and they have been doing a lot over the years to help grow the sport. 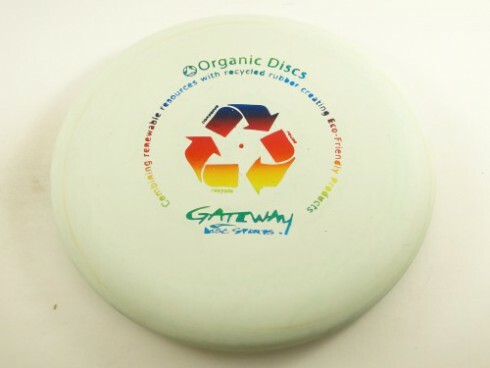 Also last week, we got in a huge Discmania restock featuring a handful of discs in new plastics that we have not had available before. 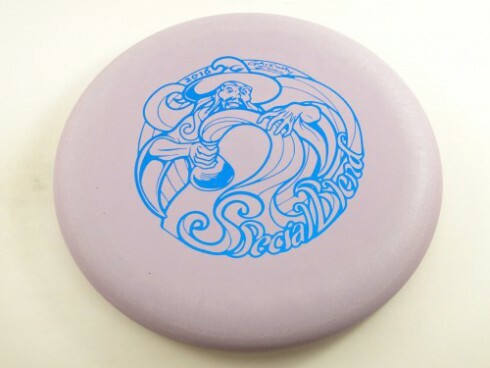 We wanted to provide for everyone a list of all the new Discmania discs in new plastics that we just got in. 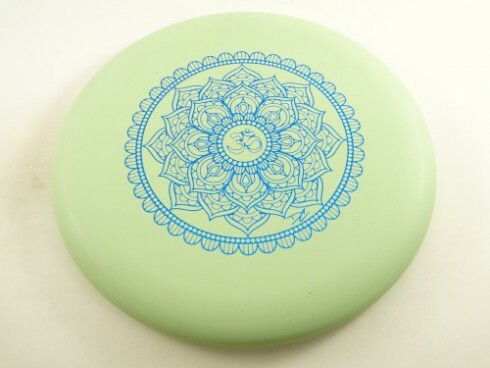 If you haven’t tried out Discmania before, now would be a great time. We have a huge selection available, with a lot of different colors and weights. Here are all the discs that are now available in new plastic types. 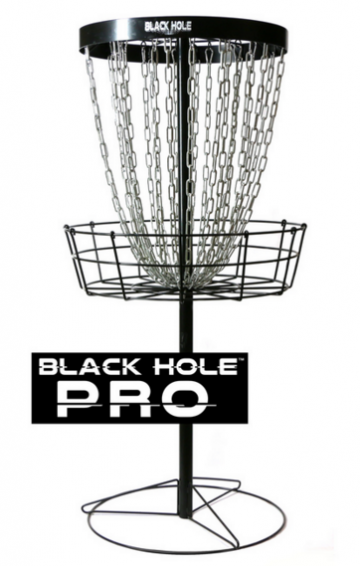 The 2016 disc golf tournament season is right around the corner! With the 2016 Memorial Championship in beautiful Scottsdale, Arizona just one day away, we decided to take a look back on last season and some of the top moments from a very memorable year of disc golf. 2015 was Paul McBeth’s year in many regards. Taking home his fourth consecutive world title played a big part in that. While the final nine wasn’t nearly as dramatic as 2014, Paul still had to fight for this championship. McBeth was eight strokes off the lead after two rounds, but bounced back with two lights out rounds to take a commanding eight stroke lead going into the final day of play. Some say we are witnessing the establishment of a new Dynasty in the sport of disc golf. Whatever your feelings, McBeth clearly is once again the man to beat as we enter the 2016 season. Closing out the 2015 National Tour was the Hall of Fame Classic down in the woods of Georgia. This tournament featured tough courses that tested the top pros and made for close match-ups throughout the event. Both Michael Johansen and Paul McBeth carded Birdies on their final hole to push them one stroke ahead of JohnE McCray and force (another) NT playoff. Both players fought hard and played evenly for the first three holes of the event, but Hole 4 proved to be the difference maker. After finding some trees on his second shot, McBeth had to run a long 70 foot uphill putt to try and extend the playoff. The shot was on target, but just too high. It bounced off the top of the basket, leaving Johansen with a twenty footer that he made good on to claim his first ever NT title. The 2015 Ledgestone Insurance Open was already slated to be an historic event. 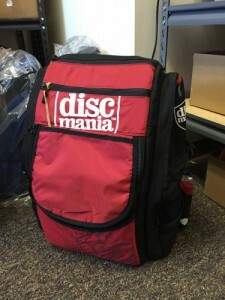 Tournament Director Nate Heinold worked hard to provide players with the largest purse in the history of disc golf (with a little help from sponsors like Infinite Discs…). Also, he and the entire LIO team put in a lot of hours to set up difficult layouts on courses that made this one of the most difficult and unforgiving events in disc golf. 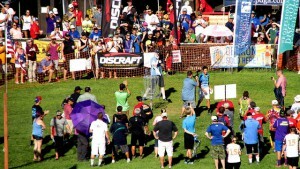 World Distance Record holder Simon Lizotte came into the final nine two strokes behind Paul McBeth. Throughout those final holes, Simon looked as calm and focused as he may have ever looked playing the game. The Lake Eureka temp course was a fierce course that cost a lot of pros a lot of stokes throughout the week, and even some of the fellow competitors in that final nine. But Simon stayed strong. He played smart, conservative, and consistent golf to walk away with a giant check and his first ever National Tour title. 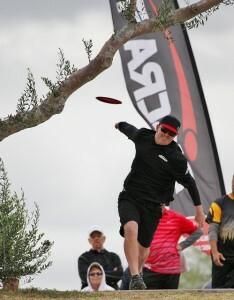 This also was the first National Tour event ever won by a European disc golfer. Do you remember the heartbreaking ending to the Maple Hill Open in 2014? 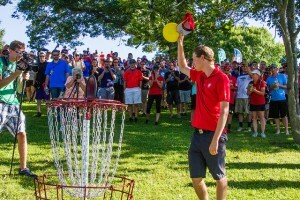 Ricky Wysocki does, and he had every intention of making the 2015 Maple Hill Open a better memory. He came into the final round two strokes behind Paul McBeth and four strokes in front of Gregg Barsby. After a long day of battling the fierce competition as well as the rainy and windy conditions, Wysocki stepped onto Hole 18’s tee pad with a two stroke lead. In 2014 he stood on that same tee pad with a one stroke lead that was lost by an unlucky rollaway on his approach shot that landed his disc just out of bounds. But that wouldn’t be the case this year. Ricky held strong to the last stroke, and was crowned with his first win at Maple Hill. 6. PDGA Amateur World Championships–Final 9. Hey, let’s not forget the Ams! This year’s Amateur World Championships had maybe the most dramatic finish in Am Worlds history. 15 year old Anthony Barela and 14 year old Izak McDonald went into the final 9 holes tied for the lead. Those final holes saw seven lead changes, including one on the final hole. McDonald took back a one stroke lead after Hole 7 with an insane 100+ foot putt for an eagle. Barela still trailed as they made their way to the long downhill final hole. McDonald teed off first, and unfortunately turned his disc over to the right where it carried out of bounds. AB seized the moment, by parking his drive just 20 feet from the pin. Maybe this was the first chapter of a big-stage rivalry between these two young guns, and if it was, then we are all excited to watch the rest of the story unfold over the next few years. 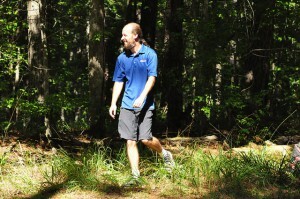 Hole 17 at Winthrop Gold is proving itself as one of the most infamous holes in disc golf. After spoiling JohnE McCray’s 4 stroke lead in 2014, we all were well aware of what this short island hole was capable of as Ricky Wysocki and Paul McBeth made their way to the tee in 2015 tied for the lead. Paul had just hit a fifty foot par save on Hole 16 to stop Ricky from taking the lead with his birdie. Ricky was the first to throw. His first drive carried just too long, bouncing out of bounds. Drive number two came up just short of the boundary, leaving the door wide open for McBeth. He stepped up, and threw a near perfect drive landing about 20 feet from the basket. This moment tugged on our hearts in many ways. We saw another mishap stop Ricky from picking up a big win, but we also saw the doors open for Paul to get the one tournament that has always escaped him. 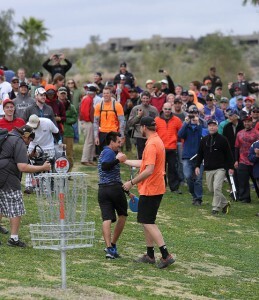 Here is a moment that some may argue was the most important for disc golf as a whole. On the first hole of his final round in the 2015 Memorial Championship, Nate Doss canned a beautiful Ace at the gorgeous Fountain Hills Park Disc Golf Course. The shot was caught on camera, and for the first time ever, disc golf appeared on national television, making Sports Center’s Top 10 plays. This turned out to be just the start, with aces throughout the year from Bobby Engle, Nate Doss, Philo Brathwaite, Dave Feldberg, and Paige Pierce (who even earned the #1 spot on the Top 10) all receiving attention from ESPN. Many hope that this was an important first step toward national television coverage for disc golf, and we are all excited to see what the future holds for disc golf coverage. I’ll be honest, as a fan of the sport, this is probably my personal favorite moment ever. There was a lot of–for lack of a better term–sports drama playing out throughout the event. It was the first big tournament of the year, the scores were close all week long, and the defending champion Paul McBeth had his bag and all the discs in that bag stolen halfway through the tournament. After a handful of lead changes, Jeremy Koling and Paul McBeth walked to the 18th tee tied for the lead. Koling teed off first with a drive that came up about 70 feet short of the pin. Paul’s drive wasn’t a lot better, but it put the pressure on Big Jerm. I’ll never forget where I was when I saw what happened next. Jeremy lined up his putt, and after what felt like an eternity, he drained it. Now the pressure was on McBeth, who still had about 30-40 feet to force a playoff. But of course, with ice in his veins he stepped up to the challenge, and answered. 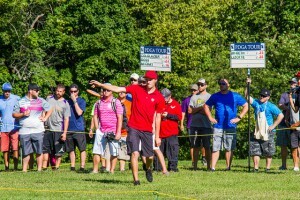 The playoff would only last one hole with McBeth driving out of bounds and Big Jerm parking it. But from an objective perspective, it didn’t really matter who came out on top after Hole 18. 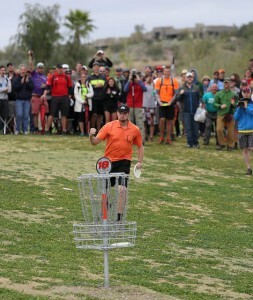 The dramatic finish on Hole 18 was more than any disc golf fan could have asked for. With the 28th Memorial Championship teeing off in just a few days, I’m sure I’m not the only one who is craving to see what this year’s event will offer us. Again, 2015 was definitely the year of the McBeast. We knew it had been that kind of year no matter how the 2015 United States Disc Golf Championship would finish out, but that would never be enough for Paul McBeth. He wanted this tournament, and he has wanted it for a very long time. The stage couldn’t have been set more perfectly either, with disc golf’s first Grand Slam on the line. The USDGC had been called his Kryptonite, and early in the tournament it became clear that he would have to fight back to get this win. But I also don’t think anyone ever counted him out of it. 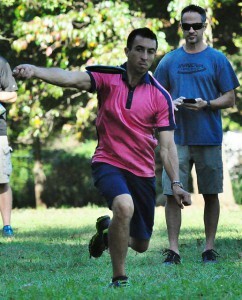 If anyone has proven his tenacity and capacity in coming back from behind, Paul McBeth has. As we watched him finish out the final hole at Winthrop, we knew we had just witnessed something special. Paul McBeth had clinched all five PDGA majors of 2015: Aussie Open, Scandinavian Open, European Open, World Championships, and USDGC. Unlike the other moments on this list, I think this is one that we all can agree that we wish it never happened. 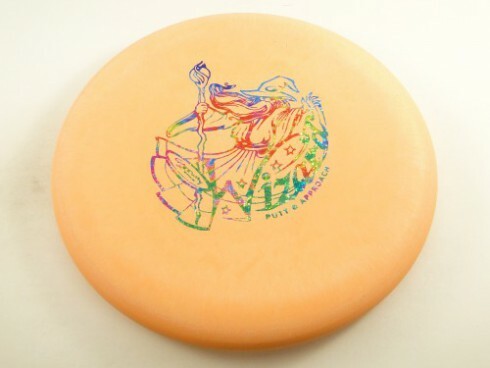 On her way to the fifth round of the PDGA Women’s World Championships in Pittsburgh, leader Sarah Hokom was rear ended at a stoplight, pushing her car into oncoming traffic. Her car was totaled, but thankfully she escaped without any major injuries. Naturally, Hokom was late to her tee time. She joined up with her group after they had already played two holes. As per PDGA rules, she was given a score of par plus 4 for each hole missed. This turned her 5 stroke lead into a 4 stroke deficit. Sarah would battle throughout the rest of the tournament, and entered the final nine tied for the lead with Paige Pierce. Watching the final 9 was almost a somber event. It was impossible to ignore the emotions on Paige Pierce’s face as she played a fantastic final round. Pierce entered the final hole with a one stroke lead, and after Hokom missed a putt to force a playoff, the pain of the moment was evident as Pierce stepped up to sink the putt that would crown her the World Champion. Later that evening at the trophy ceremony, Paige Pierce showed one of the greatest expressions of sportsmanship that the sport has ever seen. After being announced as the winner, she graciously called Sarah up and gave her the first place trophy. With a few new tours announced for this season and hundreds of new players and courses every year, it is hard to say for certain where our sport is heading, but if this number one moment is any indication, then I’d say we are heading in the right direction. Alright, time to give away some goodies! We first want to thank everyone who participated in this year’s survey. We appreciate all the responses we got and we look forward to analyzing the data and putting together more articles for everyone to enjoy. This sport we all love is growing, and we are excited to be a part of it. Now we want to thank all the manufacturers who donated prizes for this year’s giveaway. We were overwhelmed by the awesome support and prizes that these folks were willing to give away in support of this survey! Now without further ado, here are the prizes! 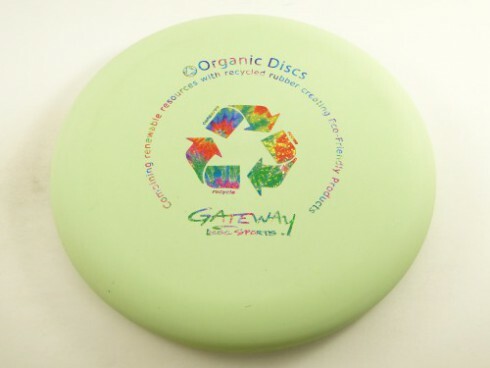 Again, thank you Discmania, Dynamic Discs, Gateway, Innova, and MVP for your very generous donations to this giveaway! So this is how the giveaway will work! We will contact winners and they will be able to select one big prize (Basket or Bag) or any combination of 5 discs. If you participated in the survey, watch your email inbox over the next few days to see if you have been selected as a winner! It’s that time of year again! 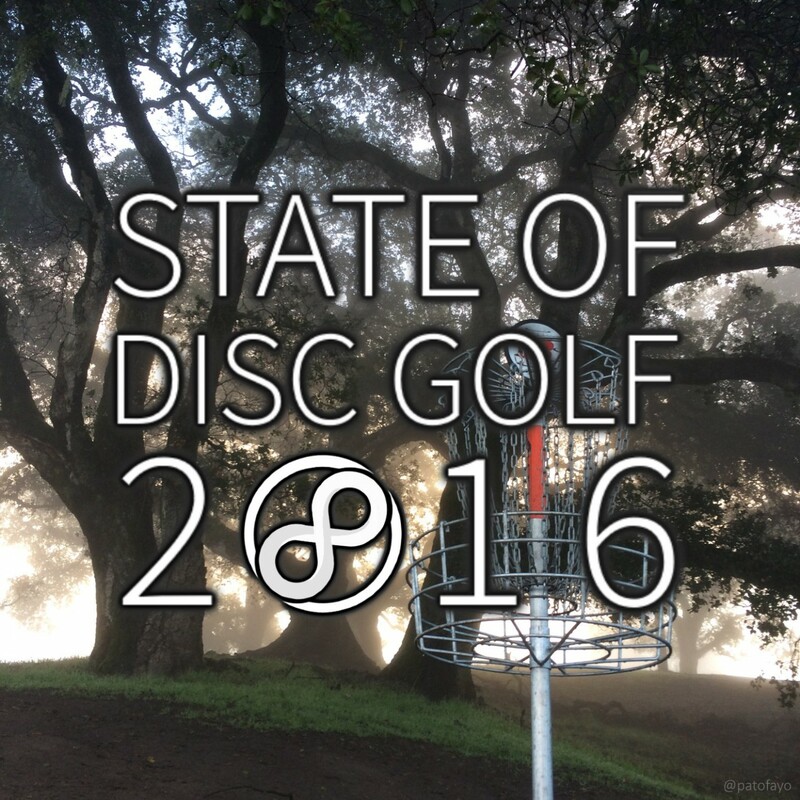 Time to reflect on the past year and add your contribution to the biggest survey in disc golf. This survey is extremely valuable to us and everyone involved in disc golf. The results will provide beneficial data for disc golf manufacturers, tournament directors, promoters, and parks departments that need evidence of the growth and potential of disc golf. This is your opportunity to make your voice heard. This survey takes about 15-30 minutes to complete and will close the last day of January. Over $1,000 of prizes given away to those who fill out this year’s survey. Prizes include discs, backpack bags, and a brand new disc golf practice basket. Last year we had over 9,000 responses, and we hope that number will continue to grow this year. Please share this survey with all of your disc golf friends and social media disc golf groups. Again, the results to this survey are invaluable to disc golfers everywhere, and everyone’s input matters. If you have trouble scrolling through the format of the survey on mobile devices. Click this link to go directly to the survey. In this article we will be looking back on our top selling discs from the final quarter of 2015 (October-December). 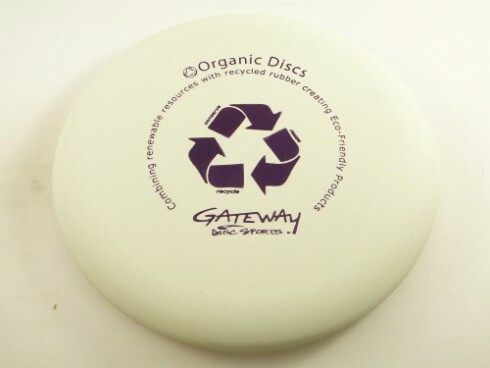 Generally Q4 is when we start to see a lot of holiday shopping, so often the sales from this period are a good indicator of which discs were on disc golfers’ holiday wish lists. For the most part, we find many familiar names in the top charts, but there are a few surprises in each category, including a break in the overall top 3! The big news here is the Dynamic Discs Judge jumping above the Gateway Wizard for the number three spot overall, and the number one putter spot. Last year the Judge was only the number nine disc overall for Q4. Innova maintains its dominance by holding half of the top ten, including the newly released Leopard3. There has been a lot of hype around the Leopard3, and only time will tell if this disc will hold its ground at the top of the sales charts. 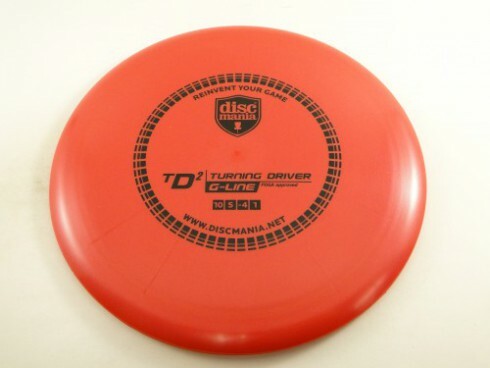 Innova continued its command over the Distance driver category. It seems fitting that the Innova Destroyer would finish the year at the top after Paul McBeth finished the year with another world championship and his first grand slam. It also would be hard to believe that these two are not related in some way. 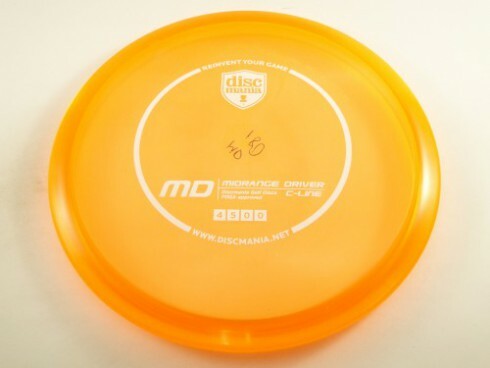 The MVP Inertia held its ground at number five, but the MVP Photon dropped out of the top 10, making room for one more Innova disc (Firebird). The Control Driver category got a pretty good shake up from the previous quarter, with four new discs jumping into the top ten (Leopard3, Diamond, Escape, and Trident). 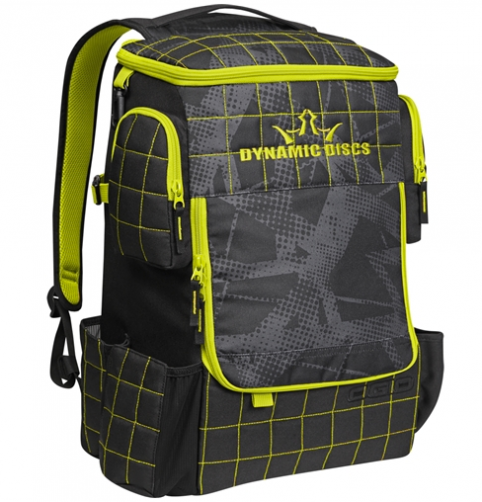 The Dynamic Discs Escape had one of its best sales quarters ever jumping into the nine spot. Perhaps the most interesting discovery here however is seeing the Latitude 64 Trident which was recently announced to be on its way out of production at number ten. 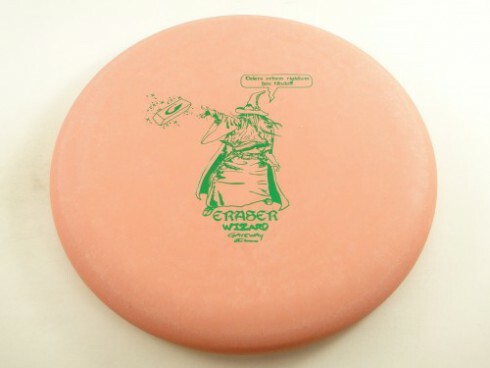 Initially, it makes sense to chalk this up as Trident throwers stocking up on the disc while they can. Yet, if we look back on our previous articles we can find that the Trident was actually the number ten selling control driver in Q2 of 2015 as well. It will be interesting to see how the removal of the Trident and other trilogy discs will affect the sales numbers in 2016. 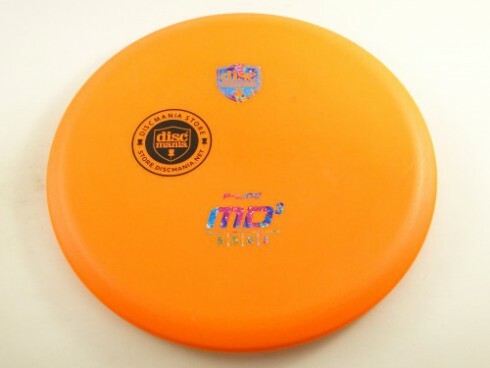 The Midrange category continues to be ruled over by the highly popular Discraft Buzzz. 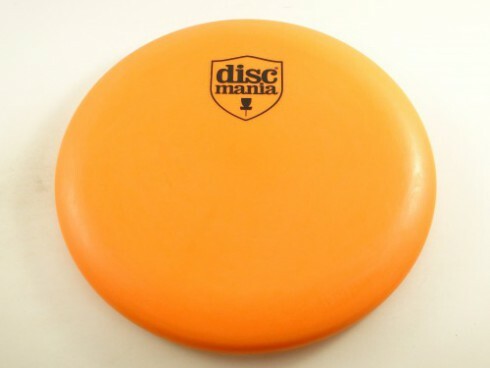 The Innova Roc managed to jump the Dynamic Discs Truth for the three spot. The rest of the list looks pretty similar to Q3, except with the Discraft Buzzz SS and Dynamic Discs Verdict sliding into the bottom two rankings. There is a new sheriff in the Putt and Approach town. 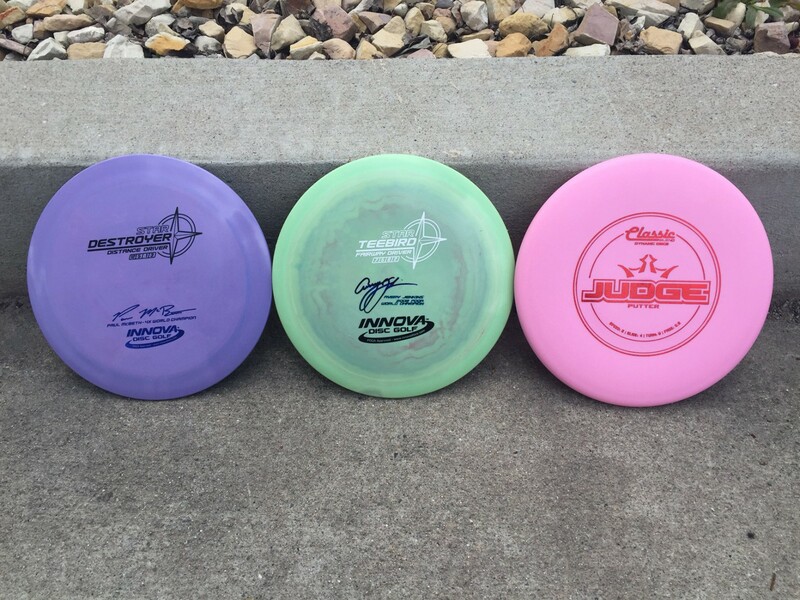 We are excited to see if the Dynamic Discs Judge will hold that spot throughout 2016, or if the Gateway Wizard or another will step up to challenge the Judge. The names in the top half of this category were pretty consistent with the previous quarter, but there was some shake up at the bottom, including the Prodigy PA-3 getting back into the top ten and the Innova Nova making its first appearance. The top three plastics stayed the same again showing the strength of Innova. Latitude 64 Opto Line jumped ahead of MVP Neutron for the four spot. The rest of the names on the list stayed close to the same other than Axiom Neutron falling off the chart making room for Westside VIP to take the number ten slot. The 2016 Utah Open will be held May 13-15 at Mulligan’s Golf Course (Avery Jenkins’ picture of Hole 18 was featured on this year’s Innova Disc Golf Calander), and is set to be the biggest disc golf event in Utah history! We at Infinite Discs are proud to announce that we will be sponsoring this stellar event. What does that mean for you? 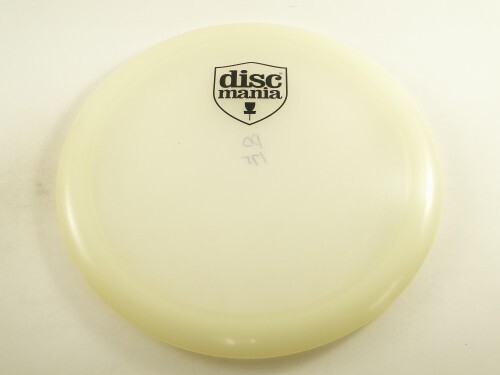 That means you now have access to some of the sickest Innova discs that we have ever seen in the Infinite Discs warehouse. This includes color glow, swirly star, gummy champion, and more! 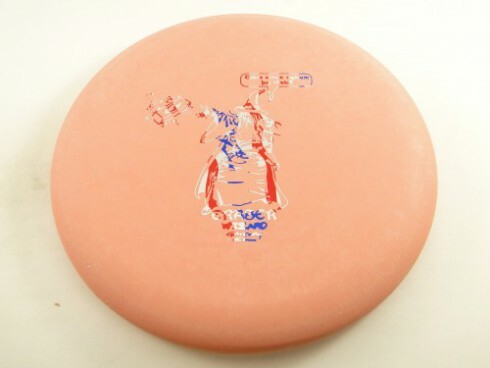 Here is a full list of all the Utah Open discs. These will be gone so fast! So grab some while you can and support this awesome event! ****UPDATE: We just got in a new addition to the Utah Open family–The Champion Colossus! The Colossus is Innova’s first 14 speed driver, and the stock run is only available in GStar. Make sure to grab one while they last, because they won’t last long! 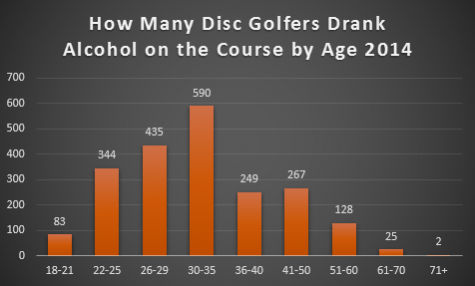 As we looked at the data from our State of Disc Golf 2014 Survey, one thing became very clear: Disc golfers like to drink. 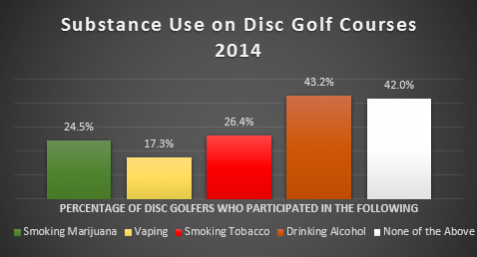 Alcohol use was by far the most used substance on the disc golf course in 2014. In fact, more disc golfers said they drank alcohol on the course than those who did not participate in the use of any substances on the disc golf course. Unlike the use of marijuana that we discussed last week, a conversation on the legality of its use does not hold a lot of weight. Though it ought to be said, there are many public courses in public parks that post no alcohol signs, and a fair share of disc golf courses have faced the threat of removal due to these rules not being followed. Of course we encourage everyone to follow the rules and local laws that pertain to each course so that we can keep our precious courses and continue to grow the sport. This chart really doesn’t hold any surprises, as each age reflects the total result–about half or just under of the total participants in each age tier. So at all ages, drinking alcoholic beverages has become a popular activity. What does this mean for the sport? Is this a good thing? A bad thing? Neither or both? Disc golf is not the only sport where alcohol has worked its way into the main scene. Casual rounds of ball golf and alcohol go together very often. Many golf courses sell alcoholic beverages at their clubhouses to accommodate their patrons. So alcohol is a big part of ball golf, and ball golf is thriving as a mainstream sport. So naturally, disc golf can thrive with a can of beer in the bag right? Maybe, but there is a crutch that disc golf carries in many towns that drinkers and nondrinkers alike need to learn to leave behind if disc golf is to grow–littering. It definitely would not be fair to blame those drinking alcohol on the course for the all the littering that occurs on disc golf courses around the world. Soda and energy drink cans sometimes are found just as frequently as alcohol cans and bottles. However in some cases (like on the course I learned to play) there is no questioning where most of the littering was coming from. I used to joke that I thought Twisted Tea was the official drink of disc golfers because of how many cans and bottles I saw strewn about the park. On more than one occasion I have walked up to a tee pad to find it covered in shattered glass from a beer bottle. Again, pointing fingers does not do us any good, we just need to fix it. 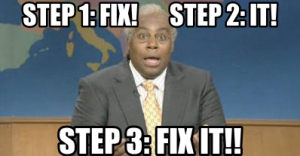 How do we fix it? 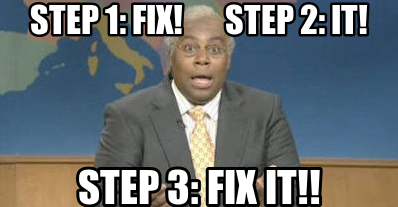 Really, it is just that simple isn’t it? Don’t litter, and if you see it happening, say something. We really are all in this together when it comes to the growth of disc golf. Lets all commit to stop the littering and keep our courses beautiful for casual and professional players alike. Lastly, and probably most importantly, do NOT drink and drive. A friend of mine worked at a country club, and he told me about his horror as we would watch golfers get hammered on the course and then get in their cars to drive back home. Do NOT do it, and do NOT let your friends do it. Please drink responsibly. Keep yourself and all of us safe.